On September 28, hundreds of people protested the annual dinner of the Freedom Foundation in Bellevue, where the guest speaker was renowned racist Dinesh D’Souza. 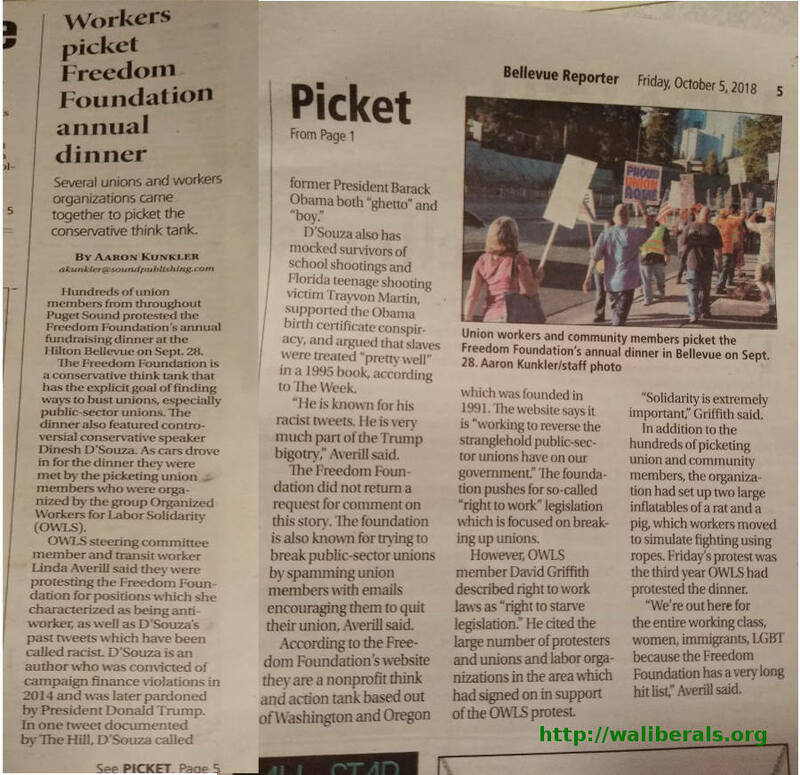 The Bellevue Reporter print edition had an excellent piece about the protest, including content critical of D’Souza and Trump. Oddly, though, the Bellevue Reporter website doesn’t, as of the time of this writing, have a link to the article, and an Internet search doesn’t reveal it.